Problem-oriented policing has been evaluated as effective in controlling a wide range of crime and disorder problems, ranging from burglaries and robberies, to prostitution, to various types of violence, according to this new book by Anthony A. Braga of Harvard University. Braga analyzes WHY problem-oriented policing interventions are effective and, thereby, intends to broaden the use of this approach in everyday policing. Problem-oriented policing directs attention and resources to the underlying problems that lurk behind many recurring crimes. Braga summarizes the extensive worldwide research literature on three types of interventions: (1) reducing opportunities for crime at problem-plagued PLACES (such as bars or housing projects) through enforcement-oriented and/or environmental measures; (2) targeting high-activity (repeat) OFFENDERS; and (3) protecting the VICTIMS of repetitive offenses. Braga concludes with ideas for correcting deficiencies in current approaches to problem-oriented policing. These suggestions address how to improve crime analysis, enhance the measurement of police performance, and secure productive police-community partnerships. Anthony A. Braga, Ph.D is a Senior Research Associate in the Program in Criminal Justice Policy and Management at Harvard University's John F. Kennedy School of Government, and is a Visiting Fellow at the U.S. National Institute of Justice. He has served as a consultant on problem-oriented policing strategies to the Rand Corporation, the U.S. Department of Justice, and many other law enforcement agencies. Braga was a core member of the Boston Gun Project/Operation Ceasefire working group, which was responsible for designing a highly effective strategy to reduce youth homicide in Boston. Dr. Braga holds the M.P.A. Degree from Harvard and the Ph.D in Criminal Justice from Rutgers University. 3. Problem-Oriented Policing and Crime Prevention Braga, Anthony A. 4. 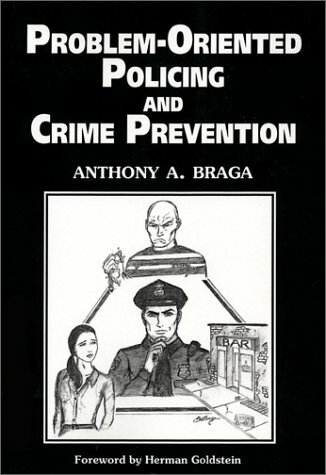 Problem-Oriented Policing and Crime Prevention Braga, Anthony A.